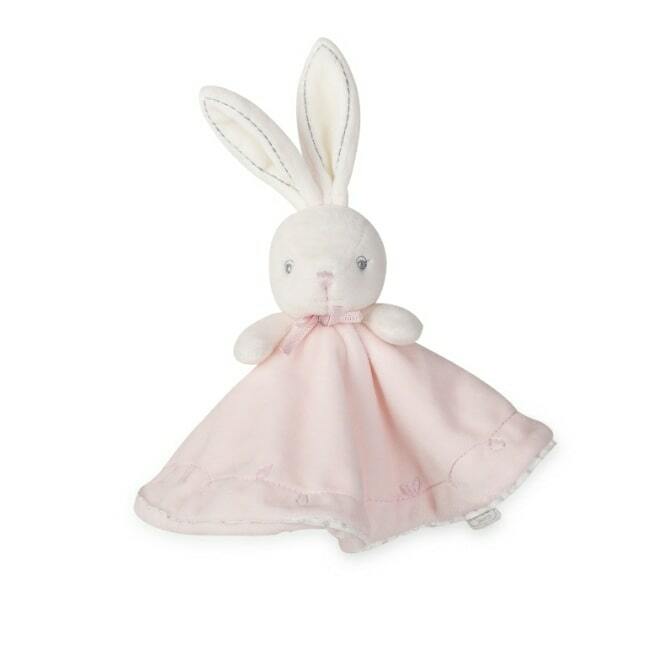 Your baby will be soothed by this pretty pastel pink doudou rabbit by French company Kaloo. 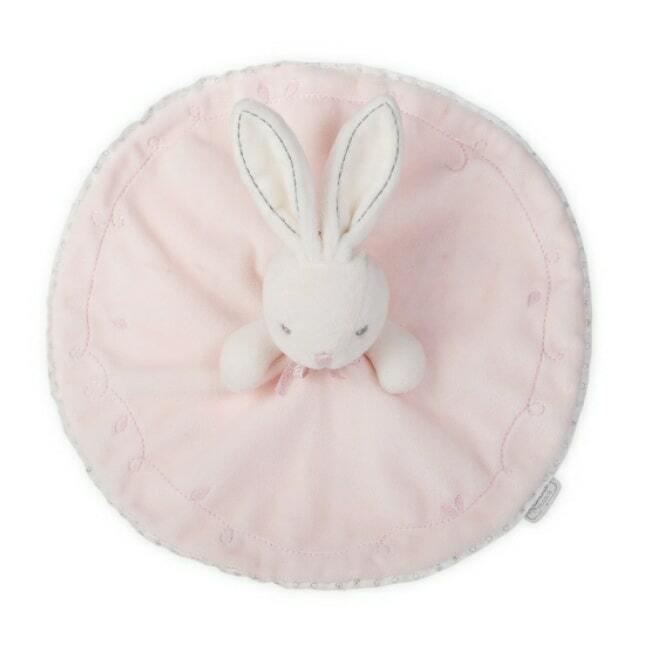 This round rabbit is huggable, cosy, and cuddly, perfect for snuggling and cuddling against for nap time, bed time, and play time. 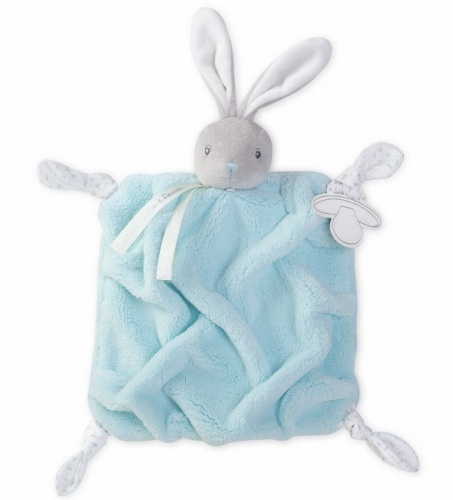 Rabbits fur and blanket is fluffy and oh-so-soft, serving as a comforting and warm security blanket for your small child. 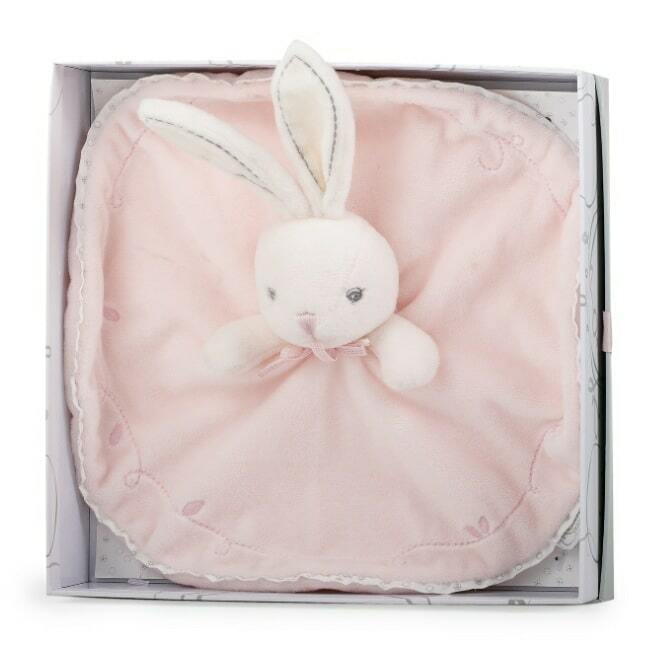 Part of the Perle Collection, Kaloo promises a clean aesthetic and a loving atmosphere for new born babies.